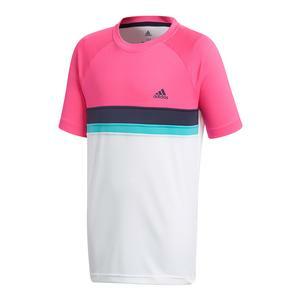 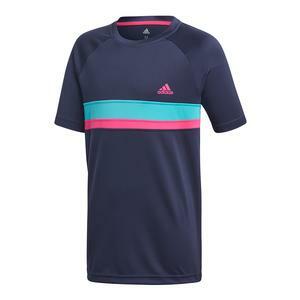 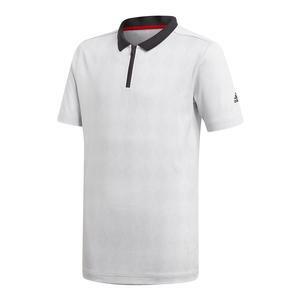 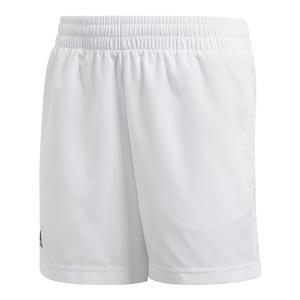 Show off your timeless tennis style in the adidas Boys` Club Colorblock Tennis Polo in Legend Ink! 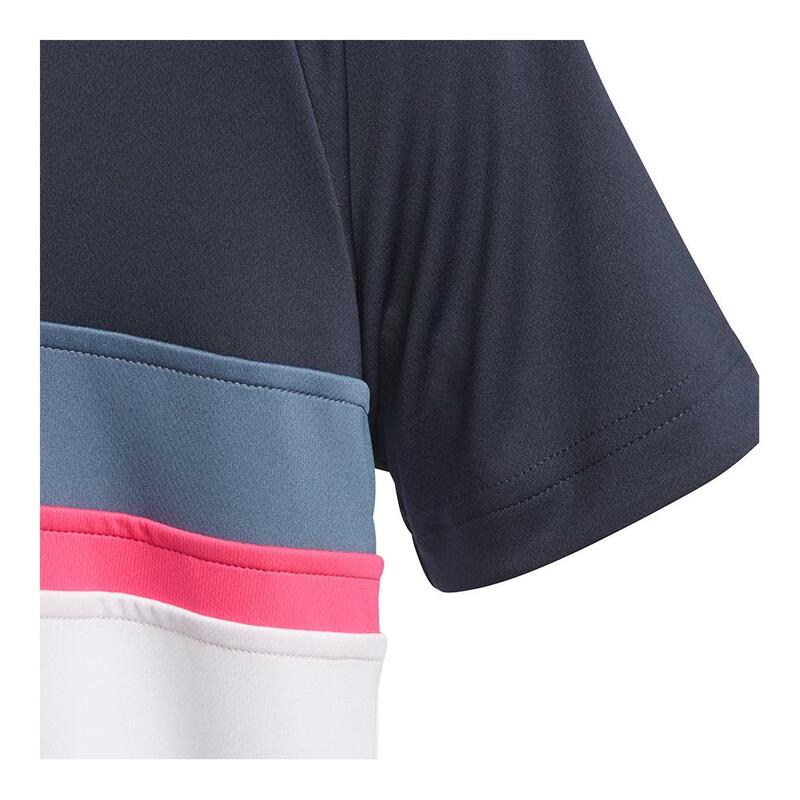 Featuring a bold thick stripe pattern on the chest and a ribbed polo collar with a three-button placket, The Colorblock Polo is constructed of CLIMALITE fabric that pulls sweat away from your skin. 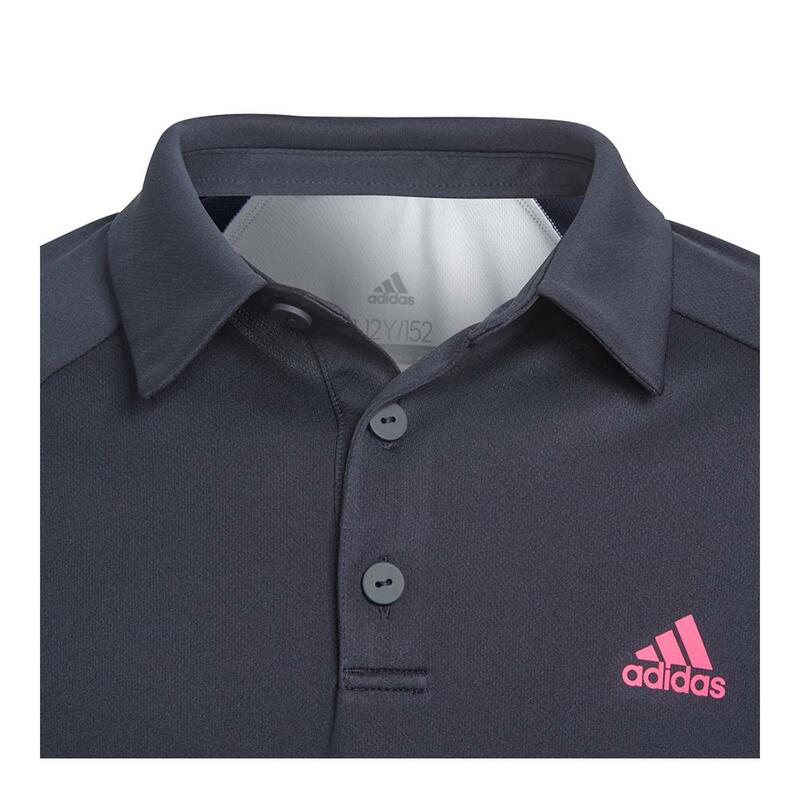 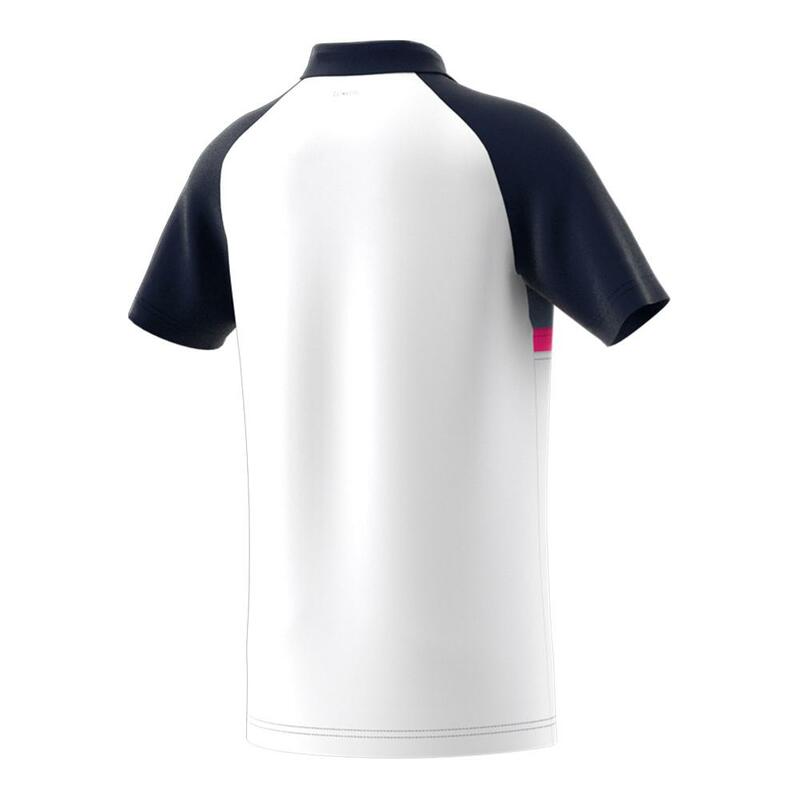 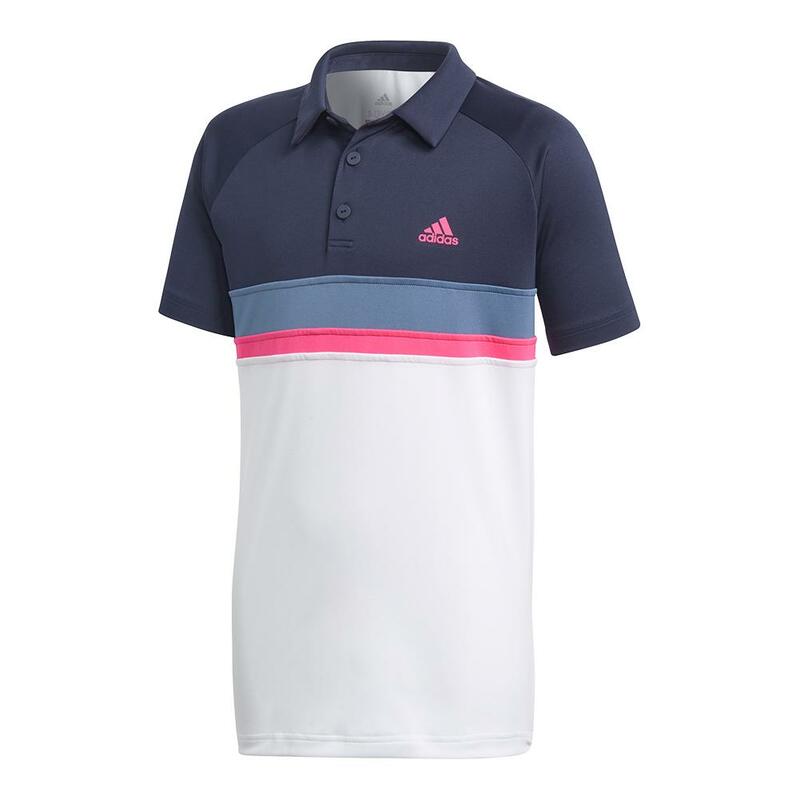 The polo has UPF 30+ UV Protection and the adidas Badge of Sport logo on the left chest.